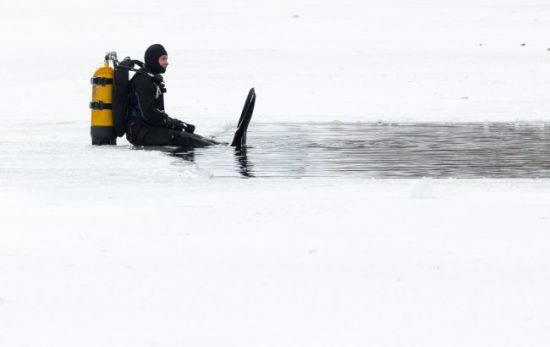 Are you looking for a dive center or instructor who takes ocean protection to heart? We all want to keep our undersea world clean and healthy – not just for ourselves, but for the dive community, now and for future generations to come. If conservation is important to you, choose to dive or continue your dive education with a 100% AWARE partner. Across the globe, PADI instructors and dive centers have committed to ocean protection through the 100% AWARE partnership. 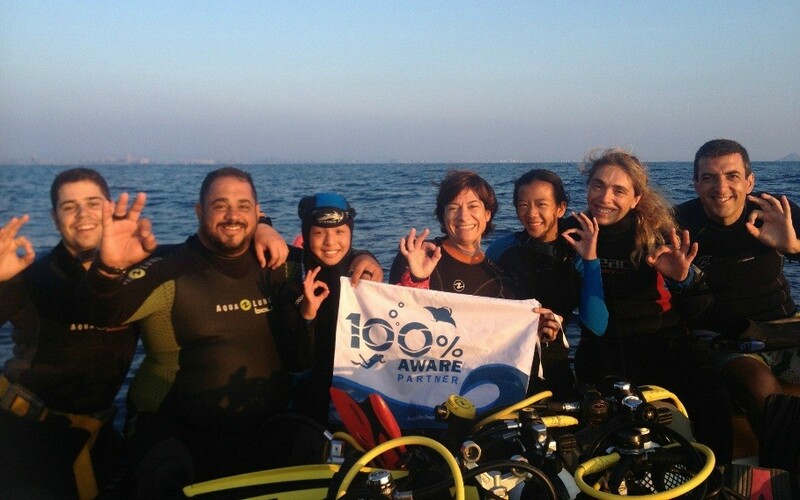 100% AWARE partners support a healthy and abundant ocean by making a donation to Project AWARE – PADI’s nonprofit partner – on behalf of each student that they certify. * 100% AWARE partners’ ongoing contributions make a difference by providing vital funds to support Project AWARE’s two core areas of focus: marine debris prevention and shark and ray protection. 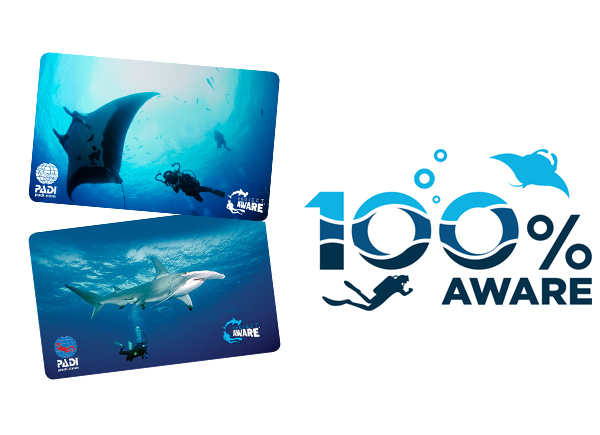 Best of all, when you become certified through a 100% AWARE partner, you will receive a special Project AWARE version of your PADI certification card so that you can proudly display your support of ocean conservation! Ready to dive in? Visit the 100% AWARE Dive Partner Map on ProjectAware.org to locate your nearest 100% AWARE dive center or instructor today! 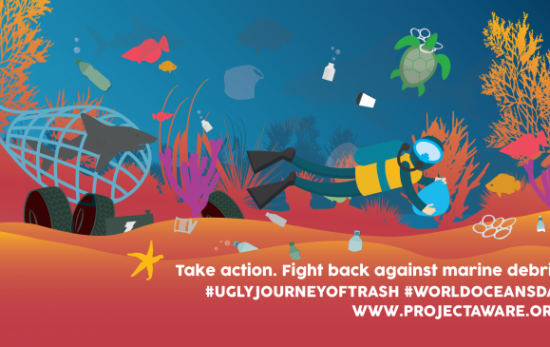 To learn more about Project AWARE’s ocean protection efforts and how you can support marine debris prevention and shark and ray protection, visit projectaware.org.